HP is an amalgamation of companies, products and technologies, and its user groups have had a similar legacy. Until today, that is. Three major HP-focused user groups, from as long ago as Digital Equipment Corp. (DEC) and Tandem Systems days, have banded together to ride the power of social networking to provide a unified and more powerful voice to 50,000 global users managing and maintaining old and new HP products and systems. The new group, called Connect, will allow its users to share knowledge and contacts while proving a strong customer advocacy voice to HP, said Nina Buik, president of the new non-profit Connect and a prolific blogger. She's also senior vice president at MindIQ, an Atlanta-based technology training company. By officially banding together today, the former Encompass (once DECUS), HP-Interex EMEA and ITUG communities can gain more power and influence together while still remaining independent of HP. "There's just more power in numbers, you can more done," said Buik. Connect made a splash at the HP Technology Forum event, which began Monday in Las Vegas. 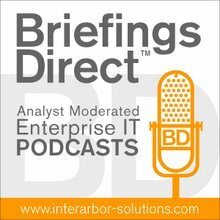 [Disclosure: HP is a sponsor of BriefingsDirect podcasts.] Users, members and observers toasted the advent of the group at a food and libations fest at the Mandalay Bay resort. The Connect community reflects users of all of HP's portfolio, which covers a lot of ground from DEC's PDP apps still running in emulation in surprising numbers to the VMS and OpenVMS of old to the latest NonStop, BTO and SOA Center product suites. The unified community is at the outset strongest in the U.S. and EMEA, but will seek more presence in Asia/Pacific and Japan later this year, said Buik. Connect will hold its next major user event Nov. 10-12 in Manheim, Germany. Hey, while we're at it integrating communities -- just as we're integrating products and technologies -- why not go for some user and communities federation as well? The HP Software community Vivit, for example, or perhaps some open source communities would make sense to work in tandem with Connect. The large and growing VMWare community also has obvious synergies with Connect. Furthermore, Connect is leveraging the social media and networks trend by creating what amounts to a LinkedIn or Facebook for HP users on its site at . Users can create a profile that describes their HP product sets, which then heightens their ability to reach out to other similar users and create their social user groups and relationships. There's blogs and wikis, too. If it works for social activities, it works for business activities. HP is hoping to tap the Connect community for its own market research, a massive feedback loop perpetual focus group on the wants and demands of HP users. The power of the pen, folks -- it's even ore powerful when joined with social networks functions and viral community reach.